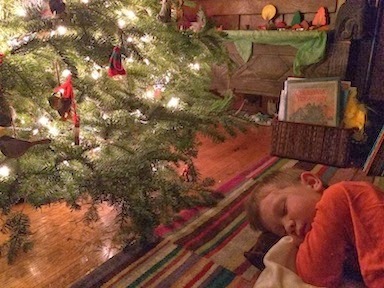 A very busy work day at school followed by a long meeting kept us from doing much in the way of special Christmas stuff today, and Starboy was having a difficult time falling asleep. So Techman set him up with the special Christmas pillows as a bed under the tree in the living room and eventually he conked out nearly two hours past bedtime. 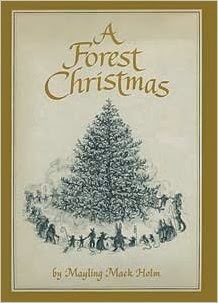 Tonight's bedtime reading was "A Forest Christmas" by Mayling Holm, which is a lovely story about the forest animals getting together for a Christmas Eve party. Very simple illos as well. 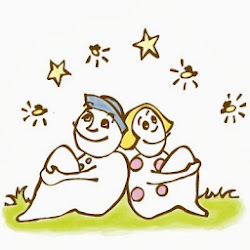 *Sorry, originally this post was numbered Christmas Countdown 17. Christmas countdown 9 - Santa! Christmas countdown 7 — school winter faire! Christmas Countdown 5 - ice skating!